Rooting the device using Kingroot can make the devices truly their own. The main reason to root is to improve the performance of the device or to customize the device. In this article, you will be informed about how to flash the custom kernel on the rooted device. A kernel is known as the core component of the operating system and handles things such as CPU speeds and voltages. This things acts like the bridge between the operating system and the hardware and manages the hardware of the system to better to serve the needs of the apps. All of them make the device can run. In addition, the kernel is responsible for the low level tasks like disk management, task management, and memory management. Then, how to flash the custom kernel on the Android device? The first step is to find the right kernel. Do not forget to choose the kernel that compatible with the device model and the version of the Android. If you are note sure about this, please ask the experts before you install it. Keep in mind that flashing the wrong one can prevent the device from running normally and can even brick it. The second one is to backup the data. You can consider the nandroid backup which will help you if you want to back up everything currently on the device exclusive of the data on SD card. The backup itself will be created via the custom recovery mode by choosing “backup and restore” and then choosing “backup”. The time depends on how much you have installed on the device. The third one is to enable USB Debugging mode on the device. Please do it after the backup is finished. You also have to connect the device to the computer. Then, select “mounts and storage”. Next, open the storage folder of the phone through the computer and copy the “clockworkmode” folder to the safe place. If you want to restore the phone to the current state, you can do it by copying the folder back to the device. Then, boot into recovery mode before select backup and restore and choose the right date. The next one is to download the kernel. Please download one and copy it to the device. Remember to not unzip it even it will come as a zip file. With the two things such as kennel file on the device and the backup folder in the safe place, you can select “Unmount” followed by “Go Back” to get the main recovery menu. Then, please select “Wipe cache partition” as it will remove the cached information that conflict with the new kernel. The last one is to install the kernel and start the process of flashing. First, select the “Install zip from Sd Card”. Second, find the kernel file copied to the device. Third, select it and choose “Yes” to begin the process. Apparently, it will take a few minutes to be done. Do not forget that during the process, you are not allowed to start the phone or pull the battery. 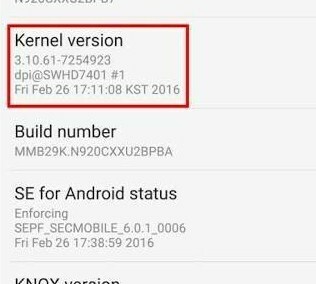 Related Post "Kingroot Kernel Version"